On the 1st of December 2018 our Kaveh project saw its official start. 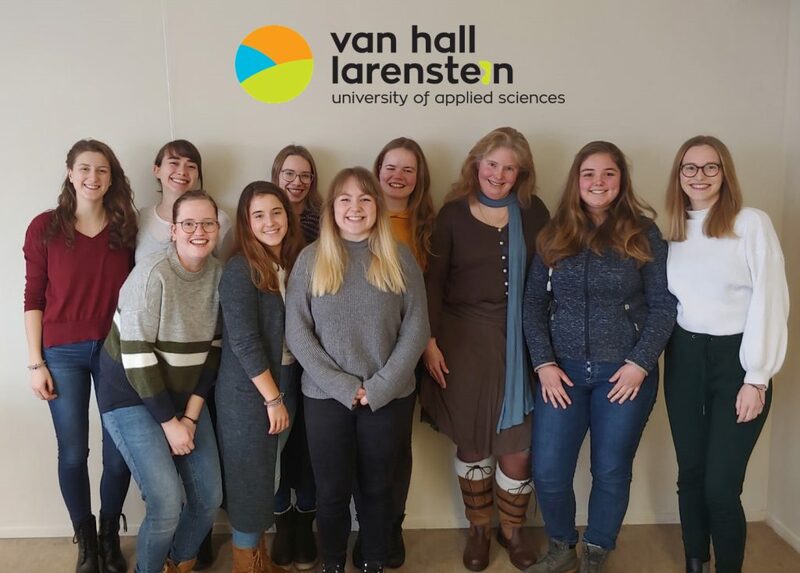 A team of eight German students and one Dutch student, all of them girls studying Animal Management at Van Hall Larenstein university of applied sciences in Leeuwarden, started on an official project plan for Kaveh. 1 February 2019, the students were expected to write a complete road map and project plan. The plan needed to include all aspects of the container, such as energy supply by renewable energy sources, safety, interior and exterior design, cost estimation etc. Our president and founder, Marjan van der Schaaf, had a few in-between meetings with the students to guide them on their way and our treasurer Ali Reza Osanlou provided valuable, but basic information about engineering, but the rest was the students own responsibility. On Wednesday 16 January 2019, so well within the time-span, the students held their presentation for Marjan and their supervisor from Van Hall Larenstein and both of them were really surprised about the result. At the same day the report was send to NGO Simba and checking began. It appeared to be a very solid and well-thought through report in which really every aspect of the container was considered. As Marjan put it: “What they created is a floor plan, a complete map which we only have to follow and work with in more detail”. This means that Kaveh project is ready to go as soon as we have found sufficient funding for this important project, which is concerned with housing for wildlife rangers in wildlife reservations and the housing of earthquake victims, which unfortunately happen a lot in Iran. You can read more about this project on our project page. It is obvious that the group received a high grade from NGO Simba, which made them very happy as you can see from the photo!